Deliver more intelligent, personalized customer service with Service Cloud Einstein. Say goodbye to “hold, please” with the only AI-powered service platform designed for the modern era. Deliver an omni-channel customer experience. Connect every channel with a platform for consistent, convenient service. Salesforce for Service is named a leader 9 years running. Empower agents and managers with an AI-powered platform. Reach new levels of productivity and operational efficiency. Unlock legacy customer data for a unified, 360-degree customer view. Surface legacy system data and connect with sales, service, and marketing to drive agent efficiency and customer success. Connect your entire mobile workforce. Drive productivity with a mobile-first experience for field technicians on a unified platform. Adapt service to business needs quickly. As customers change, your business needs to change, too. Our agile platform helps keep service operations as efficient as possible. See how easy it is to blaze a trail with Service Cloud. See how the Salesforce Platform delivers the power to take service even further. Bring customer info into one console, even legacy data, and connect to the Internet of Things. So everyone works together and service ops runs smarter. Configure the perfect service experience with low-code tools like Lightning, process builder, and more. Get innovation delivered 3 times a year. We deliver the tools and technology on a mobile first platform — like AI — so you can help everyone in service be their best. Extend service with pre-built apps. Go faster with pre-integrated partner apps from AppExchange, the world's largest business app marketplace. The world's #1 enterprise cloud lets you scale with confidence. Meet compliance and security standards for the most regulated industries. Find out more about the Salesforce Platform. 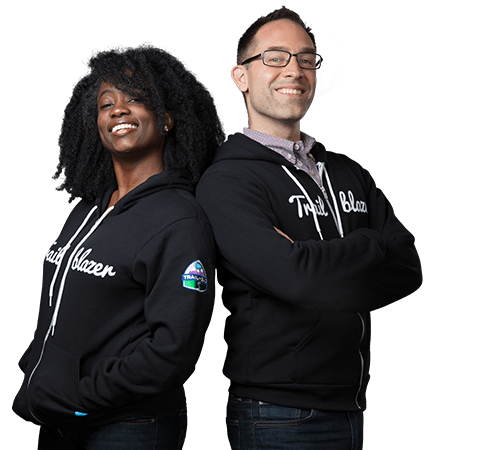 Discover the Salesforce Platform at Trailhead. Want smarter service that’s a step ahead? Meet Salesforce Einstein. Introducing artificial intelligence (AI) that proactively triages problems, predicts time needed to resolve them, and empowers reps with recommended solutions. It’s also built right into Salesforce. Now, that’s smart service. Take this free guided tour of Service Cloud. Find out what Service Cloud does, how it works, and why it will revolutionize your company's whole approach to customer service. Salesforce customer experience software gives your customers the answers they want whenever they want them. From call center management and live chat with an agent to knowledge bases and self-service communities, Service Cloud has you covered. See why Sales Cloud is Canada’s #1 customer service CRM.